I received product from Sundrop Jewelry to facilitate this post. All opinions are my own. A fun gift idea to bless your friends and family with this holiday season is jewelry! What girl doesn’t love getting some fresh and fun new pieces, right!? For something not only unique and fun, but eco-friendly too, check out the Sundrop Jewelry pieces that feature sun-melted glass and recycled silver jewelry! Their pieces are uniquely handmade using solar energy and recycled materials and start at just $40. Which makes them a great affordable option too. Wait! If you’re thinking that you don’t wear jewelry because it’s annoying, heavy, and gets in the way, do NOT stop reading yet! One of my favorite features about Sundrop Jewelry is the fact that it’s SOOOOO lightweight that I actually forget that I’m wearing these gorgeous pieces! Sundrop Jewelry creates their handmade jewelry from recycled bottles and stained glass all melted with sunshine and a giant magnifying glass! Then, they are set in recycled sterling silver. Their lightweight, elegant jewelry is available in a rainbow of colors and can suit a variety of preferences and styles. The Sundrop Jewelry Line ranges from dainty minimalist earrings and pendants to lavish artisan jewelry, but always retains that vibrant thread of casual elegance with an eco-friendly twist. 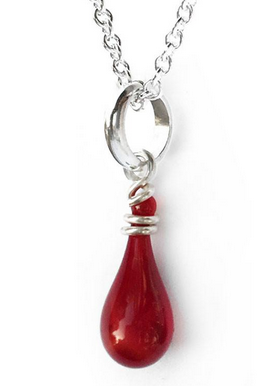 The Eclipse Pendant Necklace and Eclipse Earrings are available in a variety of colors including: garnet, cobalt (pictured), water, turquoise, kelly green, coca-cola, brown, magenta, morning glory, and lavender. This classic and gorgeous style really compliments every fashion and is a perfect duo for the upcoming holiday parties as well as chic enough to be worn every day to the office as well. I love the symmetrical quality of this style and it looks great on a variety of ages. The Demi Drop Pendant or Choker Necklace is another fun style. This perfect minimalist touch to your daily attire can add a pop of color by way of this beautiful little droplet. It offers a casual and elegant style that anyone can pull off! I am super impressed with everything about Sundrop Jewelry. From the way they create their pieces to the beautiful results, I’m really happy with the three pieces I’ve had a chance to check out in person. As I mentioned earlier, Sundrop Jewelry is super lightweight. As a busy mom to five young kids and foster mom to two, I had quit wearing most jewelry because it got in the way. So I am super excited that I discovered Sundrop Jewelry because even fun statement pieces and dangle earrings no long get in my way or weigh me down. Stunning in person, they are truly a must have! 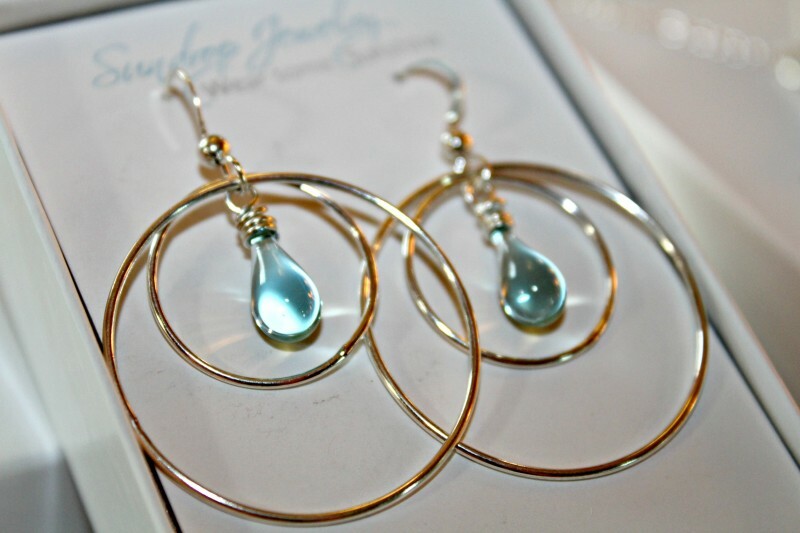 Buy It: Head over to Sundrop Jewelry to see for yourself the great selection of gorgeous jewelry they offer. Connect: Don’t forget to like Sundrop Jewelry on Facebook, follow them on Twitter, Intagram, and Pinterest, and subscribe to their You Tube Channel for all the latest news and promotions. 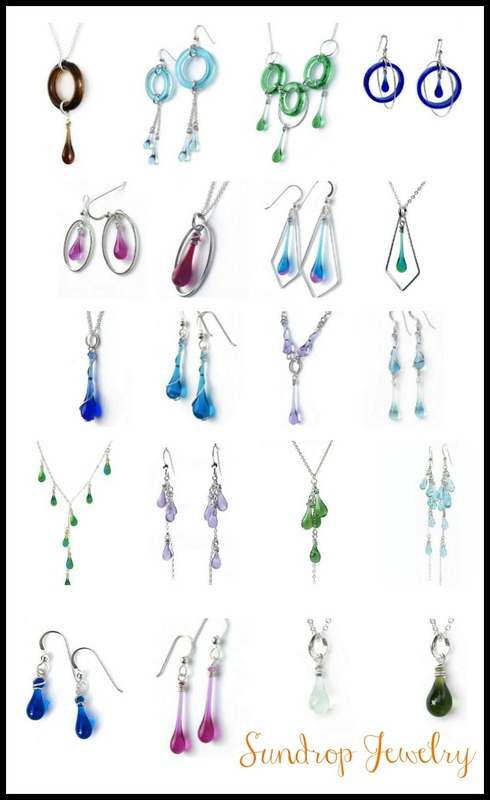 Sundrop Jewelry is generously offering one of our lucky readers their choice from the three pieces featured above! 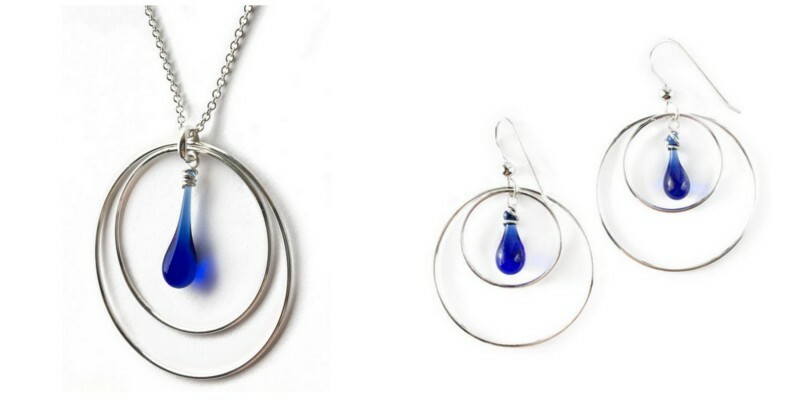 Winner may choose an Eclipse Pendant Necklace, Eclipse Earrings, or Demi Drop Necklace! This giveaway is open to the US only and will end December 1st, 2017. 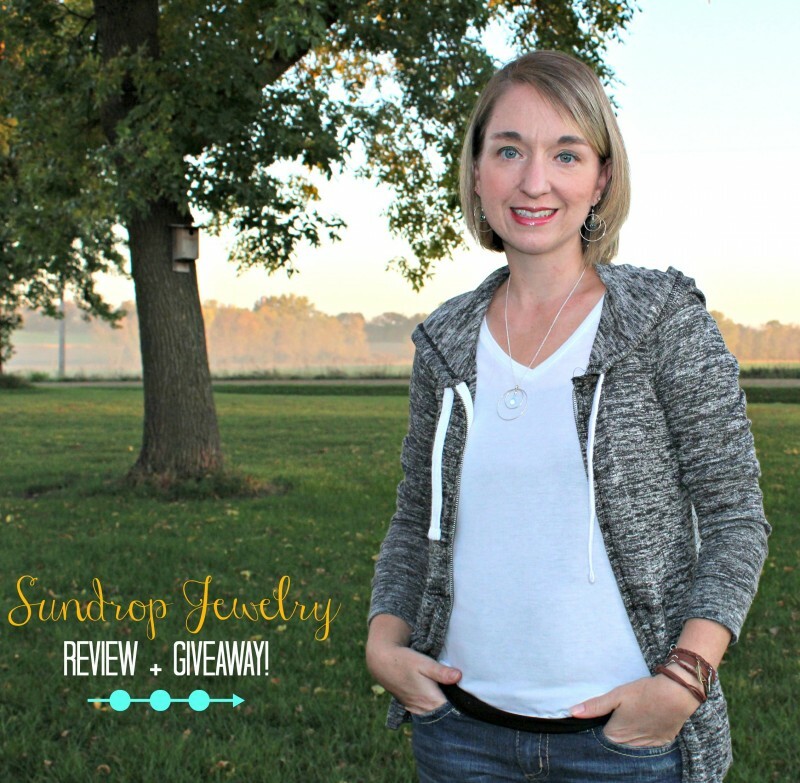 For your chance to win head to Sundrop Jewelry and sign up for their newsletter and then enter the Giveaway Tools below. Good luck! This post currently has 17 responses. This jewelry is so pretty. It is elegant and gorgeous,too. I like that it’s lightweight because I love earrings but don’t like heavy ones. I really like these pieces. I am a small person and many pieces of jewelry are just too big for me. These are perfect. I’ve decided I need to treat myself and get some accessories. I always think it makes people pop more, those little details. These are so pretty! Our household has always been a fan of solar energy. It is so great to see this company using different types of energy, especially when they make such beautiful jewelry! I am so glad that you are loving your jewelry, Miranda! Best of luck to everyone entering the giveaway – I so look forward to seeing what the winner picks out! I like the morning glory necklace. I love how it looks like a water droplet! So nice and unique. I have worn Sundrop for years. I always get asked about it and love the way it looks. I love the colors! They are handmade by using the sun plus they sparkle in the sun light. Which makes each piece one of a kind. What more could a woman want! Beautiful jewelry. I have a cobalt necklace and earrings. I have a couple of pieces of Sundrop jewelry and love them all. They make really unique gifts also. I have around 15 Sundrop earrings, all different colors and when Tawney started to offer post if you wanted to, I started to get them with the either shorter earrings and or the swirl. Love, love, love them. And having two piercings it really looks great.